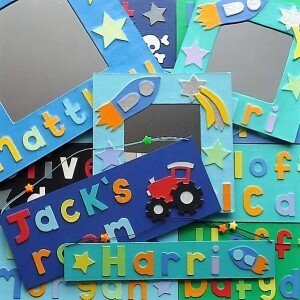 Mirrors, Nameplates, Bracelets and Much More..
We have created a range of children’s personalised papier mache mirrors and gifts which are all hand made here in Wales. A perfect addition to any little angel or budding spaceman’s bedroom and a unique gift for a birthday or special occasion. 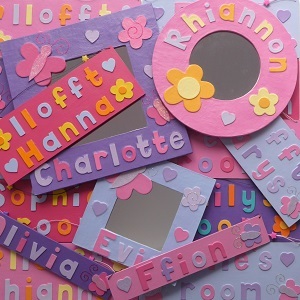 Pretty pinks, purples and lovely lilacs with butterflies, hearts flowers, sparkles and fluff for the girls. Blasting rockets and shooting stars for the boys. An ideal gift for anyone’s little darling or little monkey! Visit our shop to review our products and if you like something, we’ll deliver it FREE right to your doorstep. 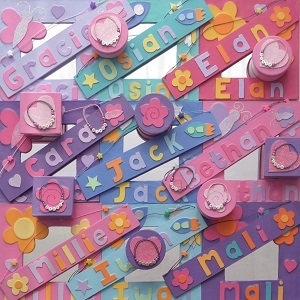 Why not visit our website to view and purchase Personalised Children’s Gifts online! Find us on facebook as well.